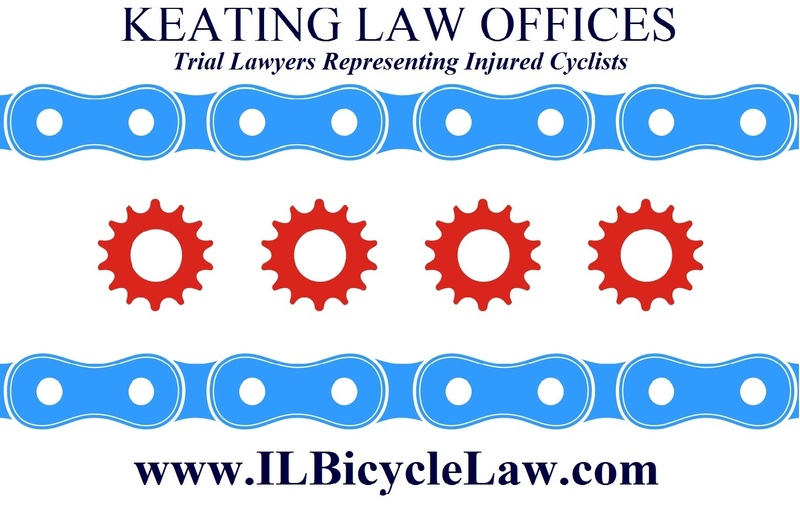 The Illinois Bicycle Lawyers at Keating Law Offices have been retained by a Chicago bicyclist to represent him for the severe injuries he sustained in a motor vehicle vs. bicycle collision on Milwaukee Avenue. The collision occurred on February 14, 2013 in the northbound lanes of Milwaukee Avenue near its intersection with Erie. The collision occurred when the bicyclist maneuvered around a car illegally stopped on the bike lane on Milwaukee and a second car turned immediately into his path. As a result of the violent collision the cyclist was thrown onto the hood of the car and lost consciousness. The injured bicyclist suffered numerous severe injuries including a laceration that required 11 staples to be placed into his forehead and both of his ears to be sutured in place. In addition, he sustained a concussion as well as severe road rash to his face and arms. 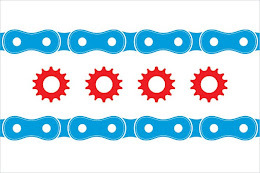 If you have any questions regarding this post or an issue involving Illinois personal injury law, please do not hesitate to contact Illinois Bicycle Lawyer Mike Keating at 312-239-6787 (Busines Hours) or 312-208-7702 (24/7) or at MKeating@KeatingLegal.com. All emails and phone calls are returned promptly. 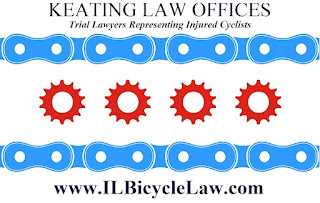 Keating Law Offices offers free, no obligation consultations to injured bicyclists. There are never any attorneys' fees or expenses unless the firm is able to make a recovery on your behalf.